Tennant Company recently formed a relationship with Brain Corp (“Brain”), an artificial intelligence (A.I.) company specializing in technology for autonomous robots. The T7 Autonomous Floor Scrubber will seamlessly integrate Brain’s proprietary A.I. robotic technology software platform, BrainOS®, to deliver a cleaning solution designed to maximize productivity, increase efficiency and optimize safety. Brain is an industry-leading robotics software company specializing in the development of intelligent, autonomous systems that automate commercial equipment. MINNEAPOLIS–(BUSINESS WIRE)– Tennant Company (“Tennant”) (NYSE: TNC), a world leader in designing, manufacturing and marketing cleaning products and solutions for maintaining surfaces in industrial, commercial and outdoor environments, today announced it will launch its first autonomous floor care machine capable of operating in complex, real-world environments without direct operator control. 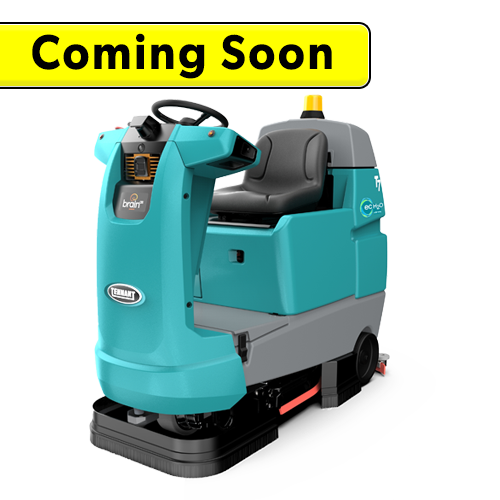 The first Tennant autonomous solution is expected to be available in North America on the T7 floor scrubber in 2018 with further expansion into global markets and additional models to follow. The autonomous Tennant T7 will seamlessly integrate Brain’s proprietary A.I. robotic technology software platform, BrainOS®, to deliver a cleaning solution designed to maximize productivity, increase efficiency and optimize safety. Brain is an industry-leading robotics software company specializing in the development of intelligent, autonomous systems that automate commercial equipment. 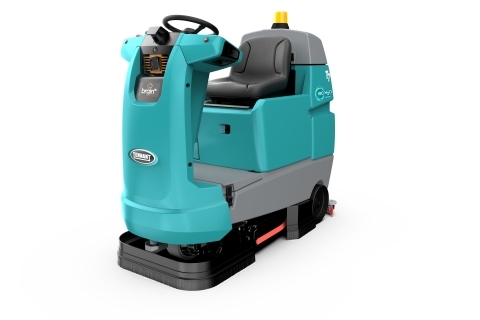 “With advances in robotics technology and our customers’ desire to operate their cleaning programs more productively, we are thrilled to combine the Tennant best-in-class cleaning equipment with the best-in-class autonomous navigation operating system from Brain,” said Chris Killingstad, Tennant Company President and CEO. “Our customers are continually looking for enhanced productivity, reliability, exceptional service and performance, and a reduction in the cost of ownership. Tennant is uniquely positioned to be a leader in the robotics cleaning market by offering a comprehensive solution that provides a single point of contact for quality products, extensive field service and support, robust customer training and process consultation,” Killingstad added. Like many other industries, the cleaning industry is undergoing a transition as a result of disruptive technologies that are driving greater automation. Robotics and artificial intelligence technologies have made significant inroads across multiple business sectors. Specifically, robotics offer smart, safe and sustainable solutions to repetitive tasks while allowing organizations and its employees to focus on higher value-added activities. Throughout its history, Tennant Company has maintained a sharp focus on advancing the cleaning industry by aggressively pursuing new technologies. Tennant will continue this legacy with the introduction of autonomous machines to help its customers increase their cleaning efficiency. Founded in 1870, Tennant Company (TNC), headquartered in Minneapolis, Minnesota, is a world leader in designing, manufacturing and marketing solutions that empower customers to achieve quality cleaning performance, reduce their environmental impact and help create a cleaner, safer, healthier world. Its products include equipment for maintaining surfaces in industrial, commercial and outdoor environments; detergent-free and other sustainable cleaning technologies; cleaning tools and supplies; and coatings for protecting, repairing and upgrading surfaces. Tennant’s global field service network is the most extensive in the industry. Tennant Company had sales of $1.0 billion in 2017 and has approximately 4,300 employees. Tennant has manufacturing operations throughout the world; and sells products directly in 15 countries and through distributors in more than 100 countries. For more information, visit www.tennantco.com and www.ipcworldwide.com. The Tennant Company logo and other trademarks designated with the symbol “®” are trademarks of Tennant Company registered in the United States and/or other countries. Brain Corp is a San Diego-based A.I. company that partners with manufacturers of commercial equipment and consumer electronics to convert their manually operated products into autonomous robots. Brain Corp’s technology represents the next generation of artificial brains for robots. Brain Corporation is funded by the SoftBank Vision Fund and Qualcomm Ventures. For more information or to access videos of its robots, please visit www.braincorp.com.